Jim and Lisa Gilbert have been bringing local history to life for almost 40 years, in Chatham-Kent. 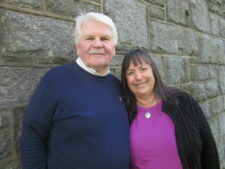 They have won local, regional, national and international awards for their radio shows, newspaper columns, historical presentations and other heritage programming. Their living history festival – Heritage Days: The Faire at the Forks was the largest of its kind in Canada. They spearheaded a campaign to bring greater recognition to the Tecumseh Monument. 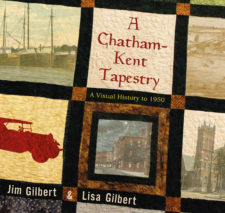 They have served on committees, boards and organizations throughout their lives which help to bring recognition to Chatham-Kent’s rich history. They hope this book does that as well.